It has a top-notch security with a backup feature. Like other cloud storages e.g. Google Drive, Dropbox etc, you can back up your social media accounts (Instagram, Facebook, and Picassa) and your WordPress websites. You can also add your files as "favourites" to access them when offline. 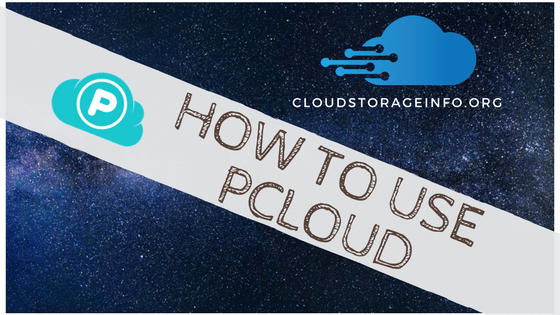 In this guide, I will show you how to use pCloud and all of its features. There are two ways in which you can create a pCloud account – Using your email address or your Facebook profile. First, open www.pCloud.com and click the "Sign up" button. Verify your account by clicking the link sent by pCloud to your email. Confirm your registration and you are done. There are several options you can choose on pCloud depending on your preferences. The free plan offers up to 10 GB and you can always increase your limit to 20 GB by sharing their page, friend referrals or backing up your files from social media accounts. Your sensitive files can be encrypted using the additional Crypto protection. For heavy users, all you need to do is to upgrade your plan to the Premium or Premium Plus plans. They also offer a 10-day money back guarantee! You can choose the lifetime plans i.e. special or mega offer for a one-time payment which includes lifetime storage. The pCloud app and web interface allows multiple file sharing options and you can always send your files to any destination you choose. The additional virtual drive allows you to expand your computer and all files uploaded to that folder can be accessed to you in any device. Just make sure you "accept and approve" any pop-ups while you download and install their client. Open your pCloud drive in your file manager with a quick left-click or right-click of the indicator. 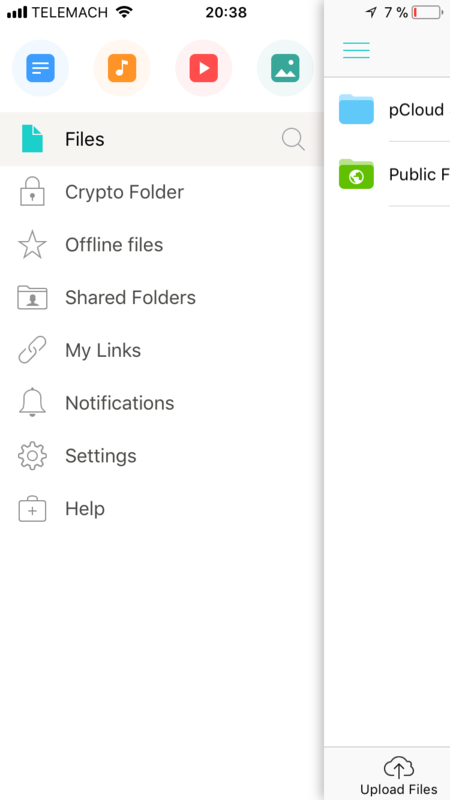 Open your crypto folder if you have already subscribed and then add new folders to the Sync. Other options include checking your account status and notifications. Open the pCloud panel and click "Sync"
Click "Save" and the "Add Sync". The sync will start immediately and will be available to all devices connected with your pCloud account. You can add several sync folders provided you don't run out of space. Note that the synchronization process makes your folders available even in offline mode if you choose to do so. Just right-click on the folder and click "Offline Access(Sync)". 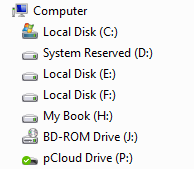 You can select the pCloud Drive folder or the local folder. Click "Save" button once you are done with your selection to save the synchronization folder. Click on the "Upload" icon. Select "File upload" or "Folder upload". Click on "Browse for files" or "Pick folder". Find the files or the folder, mark them and click "Open" or "Ok". You can also go for the "Remote upload". This feature allows you to download files directly from the web. Once you have the link to the video, paste it into pCloud and click on the "Upload" button. It is essential to have a preselected "Remote Upload". It downloads the video to your pCloud storage. You can achieve greater speeds of up to 100 megabytes if you have a fast internet the fact that you are downloading the file directly from the provider's servers. 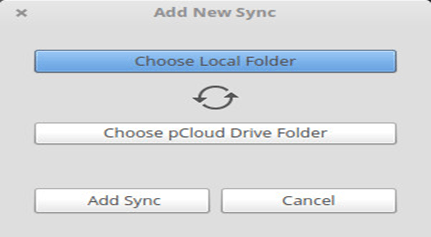 Simply drag&drop or copy any file or folder to the pCloud imaginary drive or to a folder that is synced with pCloud. 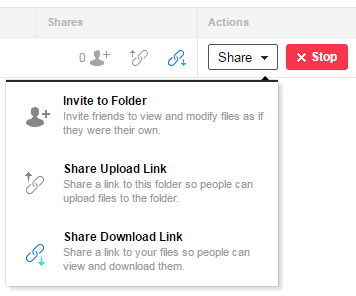 You can share files with anyone you want as shown in the pCloud panel. There are three sharing options; invite to a folder, share upload link and share download link. This feature allows you to share folders with your family, friends, and colleagues. It is set on whether they can edit or view the content. They can use the permissions you give them after accepting your invitation. Your existing shares are managed through the pCloud web platform. You can generate upload and download links through pCloud that can be provided to anyone. Users can easily download your data by generating download links to their computers or mobile devices. Your friends can upload files to your pCloud account when you provide an upload link. The public folder allows you to create direct links to files and other folders. You can create embed images and share your files at any time. You can also create static HTML websites using your pCloud as a hosting service. It is very simple to get your files back in a situation where you delete them. They're stored for 15 days in the free version. Deleted files can be retrieved for 90 days in the premium version and 180 days in the premium plus version. You can also choose to delete the backups permanently. PCloud is available for Mac, Windows, and Linux. It has a simple user interface that makes it easy to use. Simply click on the upload button if you want to upload something or drag the file inside. It also offers easy file sharing as discussed above. The service offers decent download and upload speeds with a very responsive interface. pCloud uses SSL/TLS encryption to guarantee the safety of the files. It is applied when data from your device is transferred to the pCloud servers. 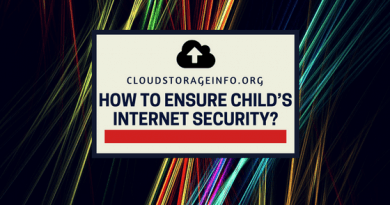 It stores your files in more than three server locations to enforce top-notch safety measures. The client-side encryption ensures you only you have the keys for file decryption. Your files are hidden safely from any unauthorized access with pCloud's unique client-side encryption. The pCloud Crypto subscription encrypts your most essential files while also protecting your password. A cloud service needs to cover as many devices as possible to be effective and user-friendly. pCloud aims at integrating their product on any device. pCloud web platform can be accessed through any browser, on any computing device. pCloud Drive allows you to access, synchronize and store your files in the cloud by creating a secure virtual drive on your PC. pCloud for mobile allows you to access and store your files anywhere and at any time. pCloud stores personal files for a specific period so you can always find the previous files. The ‘Revisions' feature allows you to restore previous versions and changes made to specific files if necessary. Click the gear button to access File Revisions and choose the ‘Revision' option. File versions can be kept on the Free plan for 15 days and 30 days for users upgrading to Premium, Premium Plus or Lifetime. pCloud Rewind allows you to go back in time and check your previous version files. You can always browse through your account at a specific date and time in the past. If you removed the shared content accidentally, you can rewind the process to restore or download all non-encrypted files. pCloud offers a great service for you if you are uncertain about your photos' security on social platforms such as Instagram, Facebook, and Picassa. Use pCloud to back up your valuable memories with a click of a button. You can always resume or stop it at any time. It also develops a variety of plugins to simplify or integrate your work with other platforms. PCloud allows you to back up all your WordPress website with all media, files, and databases. 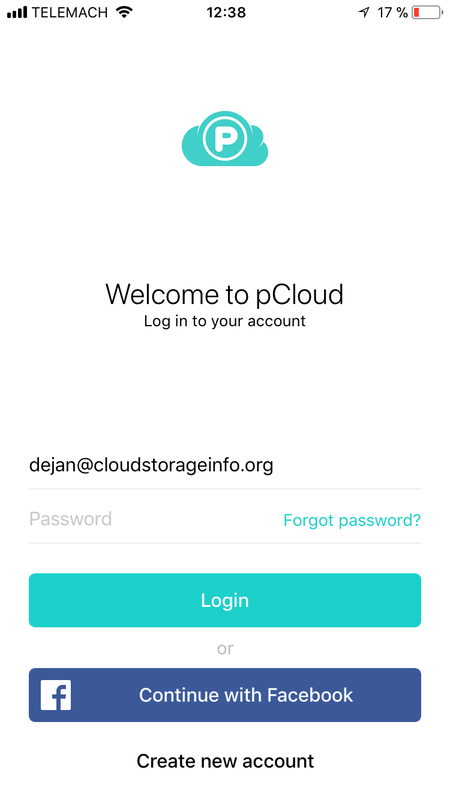 pCloud Transfer is a feature you can use to transfer files (up to 5 GB) without making an account with pCloud. Simply add the files, add up to 10 recipient emails, your email and an optional message. The files will then transfer to their servers and will be available to download by all recipients. Search for "pCloud" in your "App Store" or "Google Play Store", download and install the application. Swipe from left to right to bring up the additional menu or use the "Upload Files", "Create Folder" to manage your data. Files - Here you can find your synchronised data and your folder structure. Crypto Folder - All the files you saved in this department are protected with client-side encryption. Offline files - Folders and files that you marked for offline usage will be shown here. Shared folders - You can find folders you shared with people and folders people shared with you in this section. My Links - All download and upload links you created will be shown here. Notifications - Special offers and notifications from pCloud will be posted here. Settings - You can check your available storage, change the password, edit notifications, enable passcode lock, enable automatic upload, see deleted files, clear cache and more under this tab. Help - FAQ can be found here. pCloud surpasses several other cloud storage services with its unique features. You can always begin with the free version and advance to premium plans if needed. pCloud is a decent service that offers great download and upload speeds when compared to its rivals. 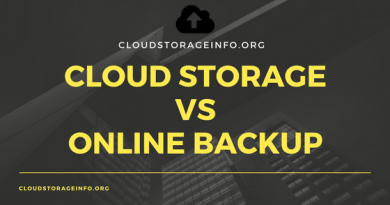 The reason why I have always recommended this cloud storage is that it aims at keeping your files safe and secure while still keeping it simple and easy to use. Feel free to check my full review on pCloud if you wish to know more. Do you have any questions on how to use pCloud? Let me know in the comments section down below and I'll answer them shortly! 1. No two-factor authentication. This should be a BIG red flag. 2. End-to-end encryption add-on does not work with most features (and costs extra). For example, with it enabled you can only download files up to 200 MB in size. Other features simply do not work. 3. They claim to be based in Switzerland, but their certification page says Bulgaria, and their datacenter is in Texas. This is a compliance nightmare, and it’s kind of false advertising for them to say they are Swiss based, when legal jurisdiction of your files is USA. 4. Data is replicated only in the same datacenter. They do not have location failover. 5. Technical support is extremely slow to respond most of the time. 6. They do not provide event (or audit) logs. 7. Anyone who purchases the lifetime fee is going to be disappointed in the future, as there is no “service level guarantee” or refund. That means there is no incentive for pCloud to keep your service fast, or continue to add new features down the road. In fact, from a business standpoint this type of pricing hints that pCloud may have a cash flow problem, or they are going to sell soon. If it’s too good to be true, then it probably is. Dejan, I really like your website, and I trust your reviews. Do you really want to stake your reputation on this company? 1. You’re right about that. I updated the main review of pCloud to include that. 2. The pCloud Crypto is meant more for personal files in that sense. Certain features will be disabled as they aren’t compatible/can’t be merged with client-side encryption without compromising it (Sync.com has a better system in that regards). 3. As posted on their certification page (https://www.pcloud.com/company/certification.html) they have departments present in multiple countries that operate for different things. 4. I wasn’t aware of that. Could you post the source of that information please? 5. I’ve always received a reply the following day. I guess it depends on your expectations, as a personal user that is fine by me. As a company, you would probably want a quicker response. 6. They provide audit logs in the business version. I’ve personally tested it (you can find the review here. 7. I would be generally inclined to agree with you in any other case. It doesn’t make sense to provide lifetime plans from a long-term perspective for a company. If I didn’t know the company better I would say you’re right. I still think that with their growth it’s fairly hard to mess up a thing like that. They provide quality features for decent prices and gain a million or two users per year since I started following them. I truly don’t believe this company will one day just close down. Their income must be going over the roofs. Anyways, as always and with every review, I post my own opinion on the cloud storage while trying to keep it completely objective. 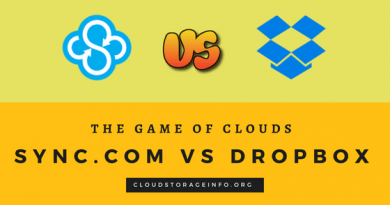 I focus on their features and compare them to other cloud storages. I do believe I am right in this case though. And thank you for stopping by. I look forward to your reply! I have never heard of pCloud before, this is great. I am always looking for ways to back up my data. I will sign up for this service to get 10 GB for free and see what it’s like. Being able to share files with others is just what I was looking for. Knowing the files have security and encryption is great. I work from home and have an Online Business so backing up files is a must for me. Let me know if you run into any problems or questions. How did I not know about this. With Pcloud I can store all of my lesson plans for all classes without fear of running out of place. I especially like the deletion feature. I am constantly accidentally deleting things. Now even if I get the free version I will have 15 days to retrieve it. I do have one question though, the post mentions lifetime access. What do you mean “Lifetime Plans?” Do you mean I pay for one year and never pay again or what?